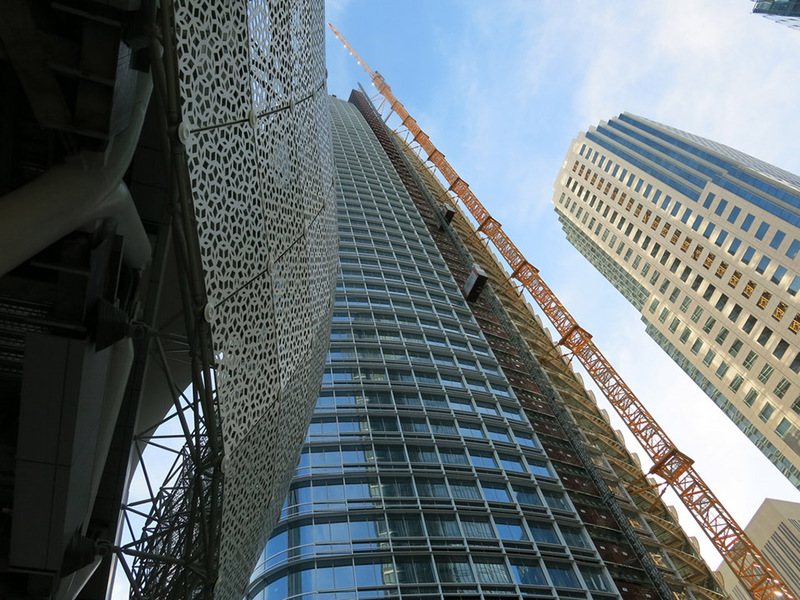 The San Francisco Examiner has reported that work on the new Transbay Transit Center will be completed by mid-June. "We're 95 percent, 96 percent there," Webcor CEO Jes Pedersen reportedly told the Transbay Joint Powers Authority's Board of Directors last Thursday. San Francisco-based Webcor is building the transit hub in a joint venture with Obayashi, a Japanese construction company. By June 15th, Pedersen said he expects workers to have made enough progress for inspectors to sign off on a temporary certificate of occupancy. "I am not sure what that means for actual use of the facility," he said, since final approval could still take weeks. The previous Transbay Terminal was built in 1939 to accommodate trains (and later buses) but it was torn down in 2010 to make way for the new facility. The new terminal's first phase was initially set to be complete in December 2017, but construction delays pushed the date back repeatedly. 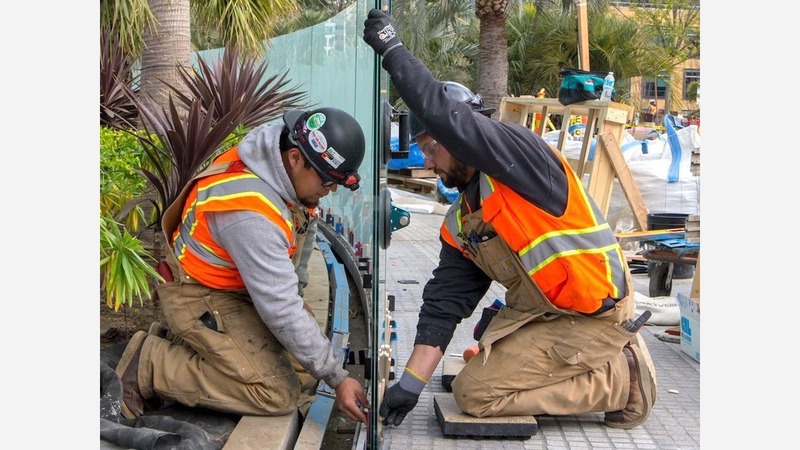 "AC Transit is ready today to move in and to begin operator training and supervisor training," Salvador Llamas, Chief Operating Officer of AC Transit said, adding that the moving construction completion date led to confusion. Before transit operators can begin using the new facility, Llamas said AC Transit needs to conduct bus deck testing, operator and supervisor training, operator sign-up preparation and also public notification of service changes. "Planning the execution of these activities needs to be aligned with a realistic and firm construction completion date," he said. The meeting also addressed homelessness and outreach programs planned for the facility. The Transbay Joint Powers Authority is offering advocacy groups free administrative office space for their staff and outreach teams to speed up the delivery of services. Once completed, the $4 billion regional transportation hub with more than one million square feet will serve multiple transportation systems, including AC Transit, BART, Caltrain, Golden Gate Transit, Muni and a high-speed rail station. It also comes with a 5.4-acre rooftop public park including an open-air amphitheater, gardens, trails, open grass areas, children's play space, as well as a restaurant and cafe.